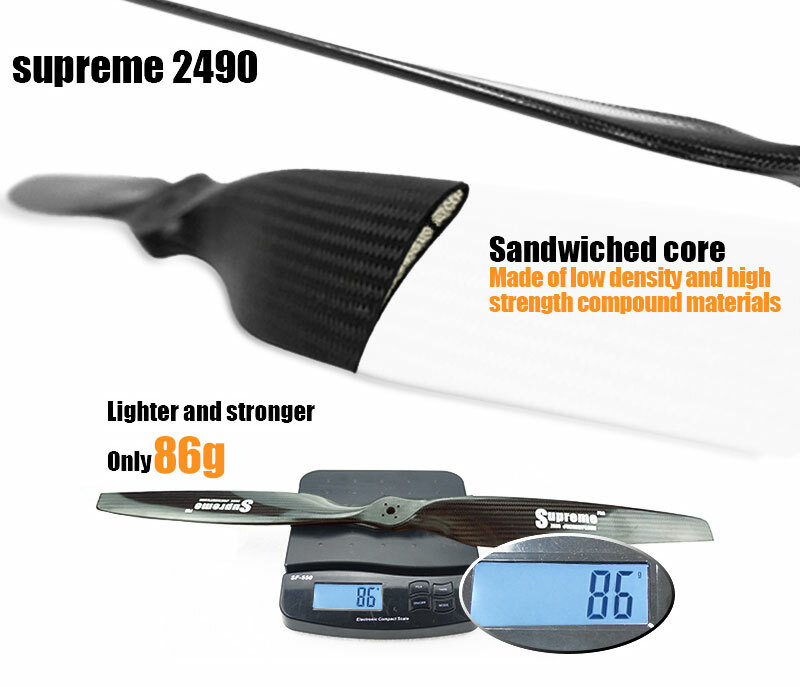 Earn you 215 reward points. 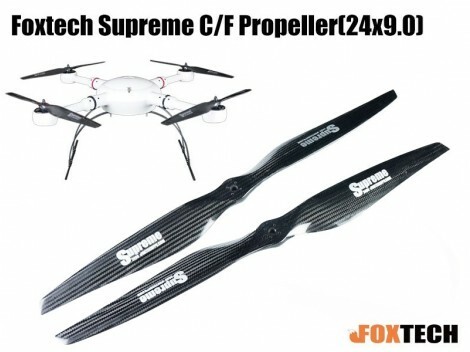 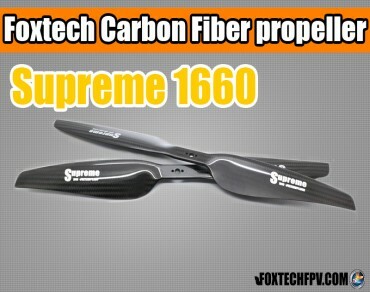 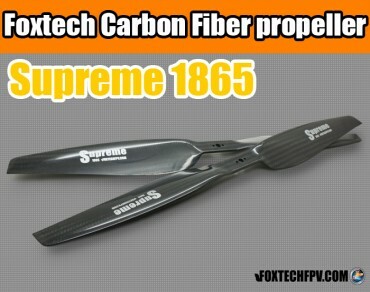 Foxtech Supreme series carbon fiber propeller is specifically designed for professional multirotor platforms. 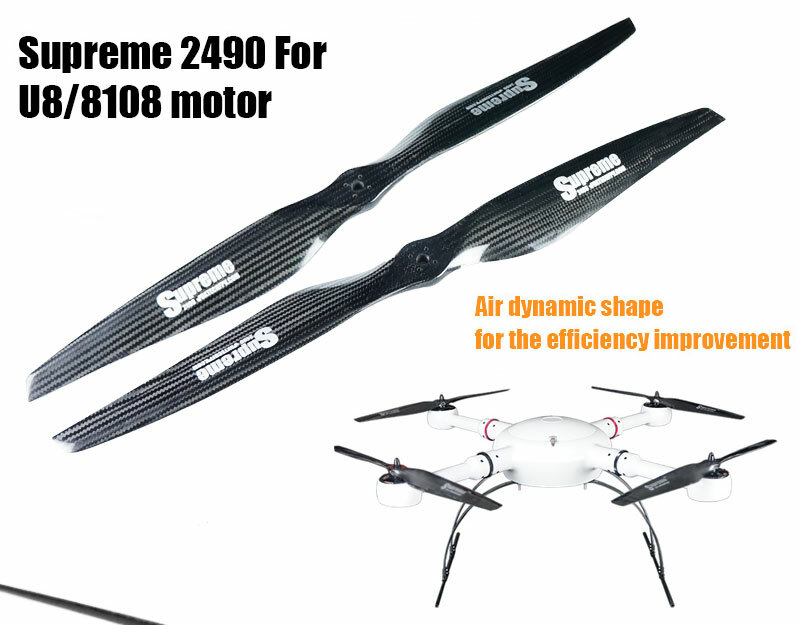 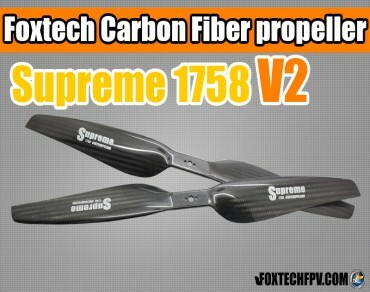 Supreme carbon fiber propellers is made with cork wood sandwich in the middle and high grade CF material on the surface, which ensures lightweight and high strength. All Supreme propellers are 100% well balanced,polished and reinforced,guarantee very little deformation even with very high load and give you a safe and quiet fly. 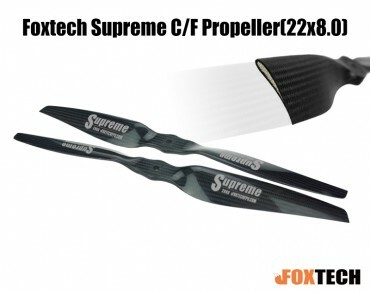 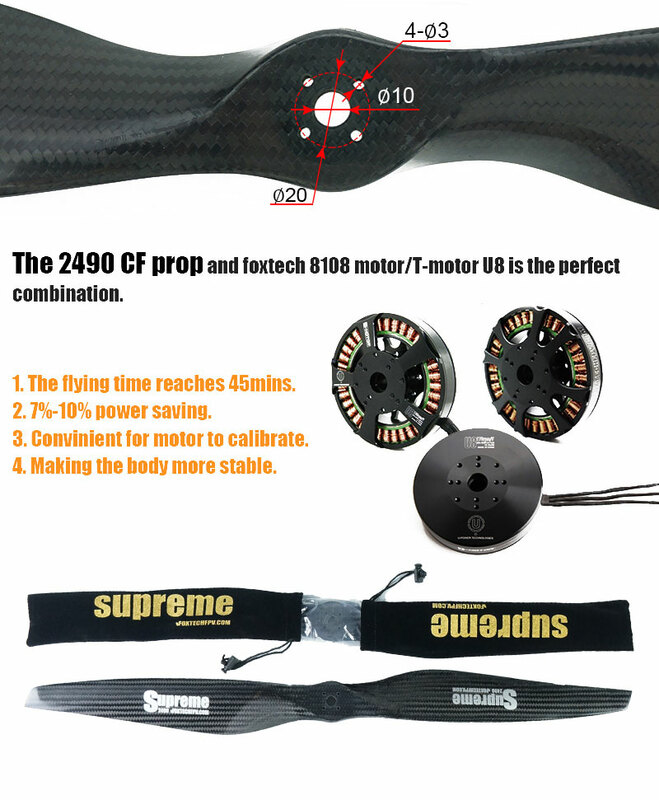 Supreme 2490 propeller weights only 86g; It gives incredible power and efficiency to use with Foxtech 8108 KV100 or T-motor U8 (Pro) K100 at 12S power supply, also good for other brushless motors in the market with same mounting pattern for heavy load ability and long flight time.